It’s so easy to apply. Just rub onto any surface with finger or soft cloth, then buff to a beautiful lustre. Rub ‘n Buff® will make your engraving on glass really stand out. This unique blend gives glass engraved items a finish that no paint can duplicate!Available in 15ml tubes in 6 attractive colours: Gold, Sapphire, Antique White, Silver, Amethyst and Ebony. 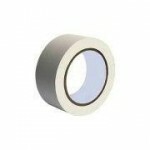 Engravers double sided holding tape is ideal for holding flat material on an engraving bed. The strength comes from the textile webbing, which gives it the ability to be removed in one piece without leaving adhesive residue. A low tack tape that will protect the items you engrave. 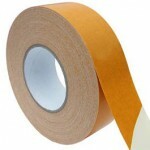 Using this tape allows you to do a test run on to the material before committing to the job.